high-quality product. After all, if you’re going to compete with the big corporate beer companies, you need to offer the kind of unique, robust flavors that will keep your customers coming back for more. Building a connection with your customer base is everything, and that connection lives and dies with the quality of your beers. 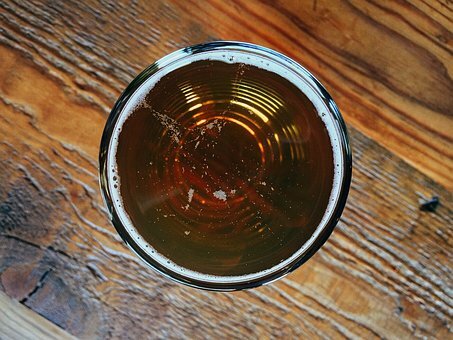 In order to make sure that you’re selling only the finest beer that you can possibly brew, you need to make sure that you’re running your product through the highest-quality filtration systems that you can get. If you haven’t done it already, make sure to look into installing Donaldson filtration systems in your brewery today. The process of brewing beer inevitably will lead to certain impurities getting into your brew. These can cause the beer to become cloudy with an impure, hazy appearance, which will be a huge turn-off for many of your customers. Even a small amount of impurities can collect at the bottom of a bottle, which will put a bad taste in your customers’ mouths. A good, reliable filtration system will keep all this junk out of the brew, so that you can offer up a high-quality beverage with the utmost confidence. In addition to building up customer satisfaction in your product, a good filtration system will also keep the impurities out of your brewing and bottling systems. These can cause a hazardous amount of buildup in your taps and containers over time, which can eventually cause serious damage to your equipment. At the very least, you’ll end up losing time having to clean things out regularly. Install a quality filtration system to keep the mess away from your equipment and keep your brewery running smoothly. This entry was posted in Uncategorized on December 30, 2016 by 11688097. This entry was posted in Uncategorized on December 22, 2016 by 11688097. When you’re in charge of an industrial manufacturing company, you know how important it is to run your business with as much efficiency as possible. The industrial manufacturing sector has been hard hit by economic shocks in the past few decades, and only the well-run and efficient plants will be able to survive while the competition falters. In order to make sure that your profit margins remain robust, you need to make sure that you aren’t having any unnecessary cost overruns in your industrial operation, and you need to cut costs at every possible junction. One of the biggest areas where you could be spending unnecessary money is one area that many plant owners fail to pay any attention to: your HVAC system. If you haven’t taken the time to look at and evaluate your HVAC air filter housing and the rest of your HVAC system, you should take the time to do so soon. An inefficient or dirty HVAC air filtration system can cause your business to bleed significant amounts of money over time. A dirty HVAC system will not heat or cool your property efficiently, and it will block the airflow in the heating and cooling system. This will lead to you spending money on energy that is doing absolutely nothing to heat or cool your plant, which is an unacceptable expense. In addition to energy efficiency, a clean and reliable air filtration system will limit your exposure to legal issues that could arise from employees being exposed to harsh industrial pollutants. Pollutants are a natural byproduct of the industrial process, and if you spend the money necessary to make sure that your employees are kept safe from these pollutants, you’ll limit the possibility of an employee suing you after becoming injured from pollution exposure. This entry was posted in Uncategorized on December 15, 2016 by 11688097.